John’s young son cracked us up with his made up stories of train bunk beds after hearing about his Dad sleeping up high. One day on my recent trip to Sweden, I was speaking to a Swedish person at the hotel. We were exchanging stories about how we got to the ski area way up in the Arctic Circle. He had flown in with a group from Stockholm and then took a 2 hours bus ride. I reiterated how we had ridden 18 hours on the train from down south. His whole group was shocked and amused by this. They couldn’t imagine it. I got the same reaction from so many people living in the United States. I explained how we had our own small compartment and sleeping bunks. For us, it was perfect. We saw the country side, had a place to store our gear, and a warm and safe place to sleep after being up for so long. We specifically wanted a ski-train adventure, and that’s what we got!. As my new friend and I continued to speak. the conversation turned to bunk beds. I re-told the story about my very first experience on a train from Paris to Barcelona. The woman in the ticket office laughed wildly as I tried to explain that we wanted to go on a “sleeper car.” We learned it was called a “couchette,” and it was a small compartment with 6 bunks; two sets of 3 high each. When we got to the compartment, we were not shocked. Coming off our Navy ship, we also slept 3 high in our “coffin racks,” except the train, although tight, actually had more room. Having made the mistake with the train ride to Paris; buying a ticket where 8 people SAT in one compartment for 12 hours, this seemed like paradise. We entered the compartment with some other riders. One was a women older than us, but at 20 years old, almost everyone was. She may have been 60 years old. We didn’t know the protocol of the bunks or that each one was assigned like a seat ticket. Thinking like a nice polite young man, I thought I would climb to the very top bunk and give the “older’ woman a lower bunk; because it was easier to climb in and out of. As I ascended to the top perch and was about to lay down, she recoils and punches me in the leg! MERDE!!! (All young men learn the swear words before anything else when beginning a new language). Unable to draw on my vast French language skills even after wasting 3 years in high school french class conjugating verbs, I got the gist of her anger; the top bunk was hers, and she wanted it back NOW! I begin to immediately calculate my life sleeping in bunk beds; it was easy, almost all my life. I moved from the baby crib to a bunk bed, and on from there. Childhood, college, Navy ships, ski houses, trains, I have slept there; and loved it. I have one in my guest room now. My nieces and nephews love it when they come to visit. I have had great bottom bunks, and even middle bunks, but I get the top bunk “thing.” You’re high up, out of the riff-raff, aloft in the command post. The view is great, the experience unique, and you’re left with a feeling of space and roominess that maybe deprived when you share your sleeping quarters with others. Why the top bunk? Well to answer the question if you still don’t get; because you’re up in the Tango Foxtrot…the T.F……….the Tree Fort. A place that’s secret, and cool, and your own. A place where those looking up want to be, and those looking down, want to stay! 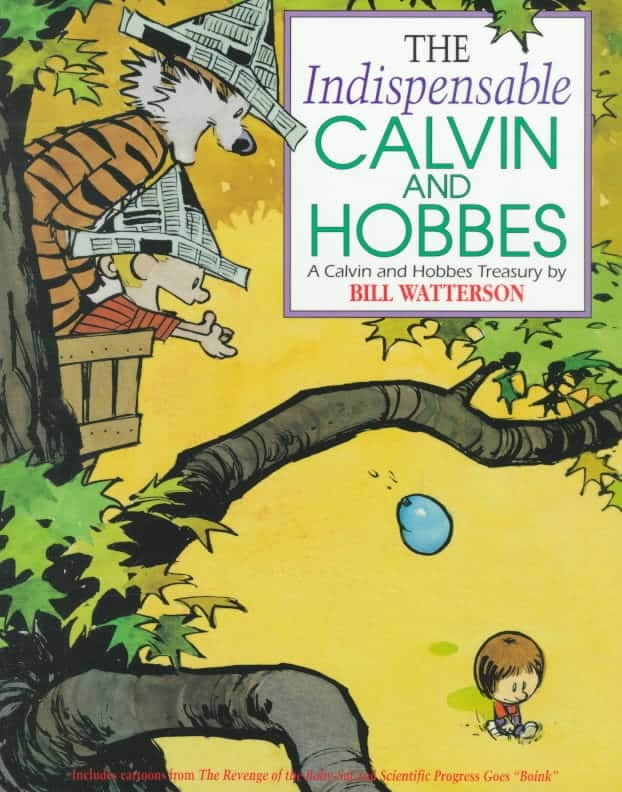 For the record; Calvin and Hobbes is the greatest comic strip EVER! If you still need some tree-fort reference, check this out………..or just check it out if you need a smile, or good laugh! 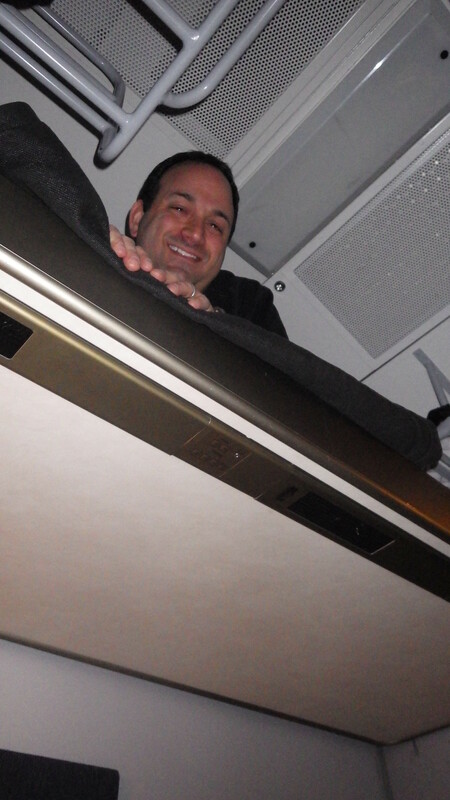 M..Don’t be sad….the bottom bunk is “The Cave” and has it’s own set of coolness!